With those words, Abraham Lincoln began the Emancipation Proclamation. Signed on September 22, 1862, the Emancipation Proclamation freed all slaves within the boundaries of the Confederate States. Lincoln’s wartime proclamation led the way to the adoption of Thirteenth Amendment which effectively abolished slavery from the United States. It was an historic and long overdue event. Thomas Jefferson originally wanted to include a denunciation of slavery in the Declaration of Independence, but it was removed to appease two southern states. Following the Civil War, the United States government had a daunting task ahead of them. Besides the difficulty of rebuilding a war torn nation, they had to deal with hundreds of thousands of former slaves. These men and women were for the most part poor, mistreated and uneducated. Now free from their former masters many faced the cruel reality that they had no place to go. The task of bringing this large portion of the population up to speed economically and educationally has been a long and difficult journey for our country. On the Fourth of July, we as Americans celebrate our freedom. We take great pride in the many freedoms we enjoy as citizens of this land: freedom of speech, freedom of the press, freedom of religion. The sad truth, however, is that all of us by nature are slaves. We are slaves to sin. We are addicted to sin. No matter how hard we try, we can never free ourselves from sin’s mastery. We are also slaves to death. You are going to die one day. Even with all the advances in modern medicine, exercise and plastic surgery, you are going to die. Death enslaves us all. Though we don’t like to admit it, we are all born slaves. Yet we have been set free. Our Lord and Savior Jesus Christ issued his own Emancipation Proclamation on a dark and lonely Friday afternoon some two thousand years ago. Hanging limply from the cross he cried out: “It is finished.” He had suffered the punishment of our sins. He was suffering the death we deserve. The price was paid. Freedom was ours. So we are now free. Sin and death have no power over us. Our sins have been punished. For Christians, death is now the door to eternal life. God has set us free. On our own, however, we find ourselves in the same situation as many of those former slaves after the Civil War: poor, alone and scared. Thankfully we are not alone. Our God sends his Holy Spirit to help us live in our freedom. Though sin still lives in us, it no longer controls us. 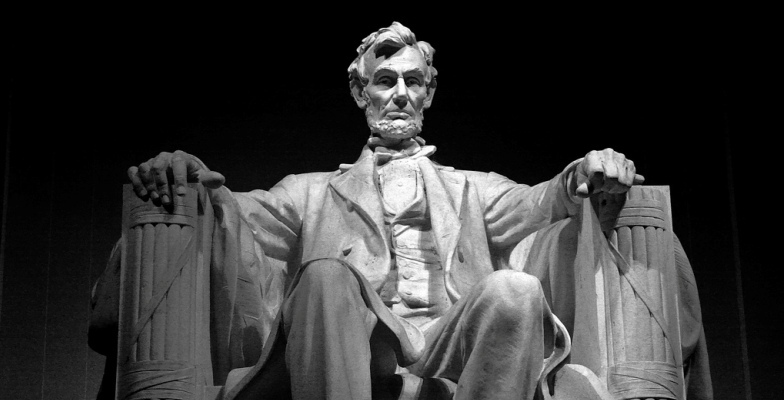 We are now free to serve our Great Emancipator with joyful and thankful hearts. Free at last. Thank God almighty we are free at last.